Let's go for a WALK! During this self-paced WALKING workout, we're chatting about meeting your goals and the mindset shift that will take you away from thinking that they're HARD, and move you toward reaching them. 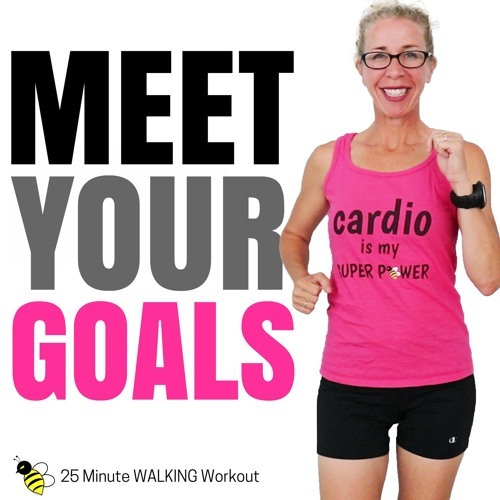 Warm Up: https://youtu.be/8HVt4xF8tns Difficulty: Level ONE Equipment: NONE / BODYWEIGHT Time: 25 minutes My Stats: 250 calories burned 3800 steps (just under 2 miles) WORKOUT SETUP: There are no intervals for this workout MAIN WORKOUT: WALK! :) FINISHER: https://youtu.be/drCitGWE1SE Cool Down: https://youtu.be/V2CTHi7R6Pc Thanks for walking with me!